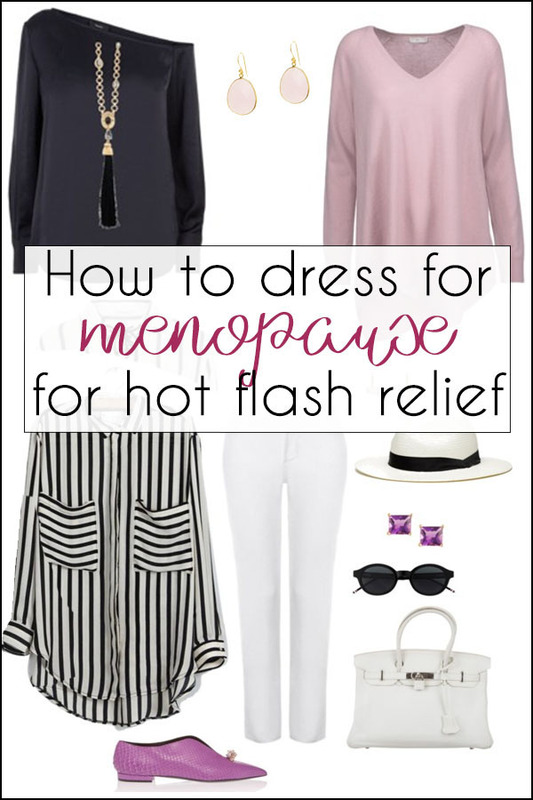 40+ Style » How to dress after 40 » How to dress for menopause for hot flash relief – 8 essential things to do! 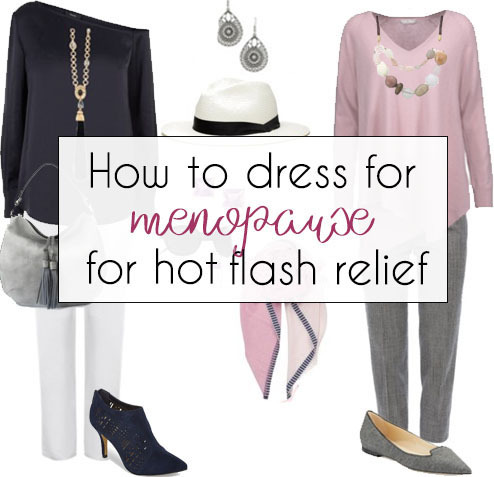 How to dress for menopause for hot flash relief – 8 essential things to do! Has menopause changed the way you dress? It has for me. I feel I’m somewhat of an expert on this topic as I started experiencing hot flashes in my late 40’s and now at almost 64 still get the odd one. Does this sound familiar? You need to wake up an hour earlier to get dressed for work as you sweat through your first outfit choice and must go back and change. Or when trying to dry your hair, the heat from the hair dryer makes you sweat so much you can’t dry your hair! That was me for many years. Most of us will experience symptoms associated with menopause such as weight gain, bloating, irritability, hot flashes and night sweats. So how do we cope with this, feel comfortable and still manage to look stylish? Weight gain happens to most of us at this time and you may put on weight in areas that you never gained weight before such as the tummy, thighs or hips. You need to learn to dress your body differently now as just selecting a larger size may not work. If you have gained weight in your middle and belly, try the following. Buy tops in fabrics that skim rather than cling and cover the belly area completely ending at the hip bone. Try tops with ruching or draping as this helps camouflage any imperfections. 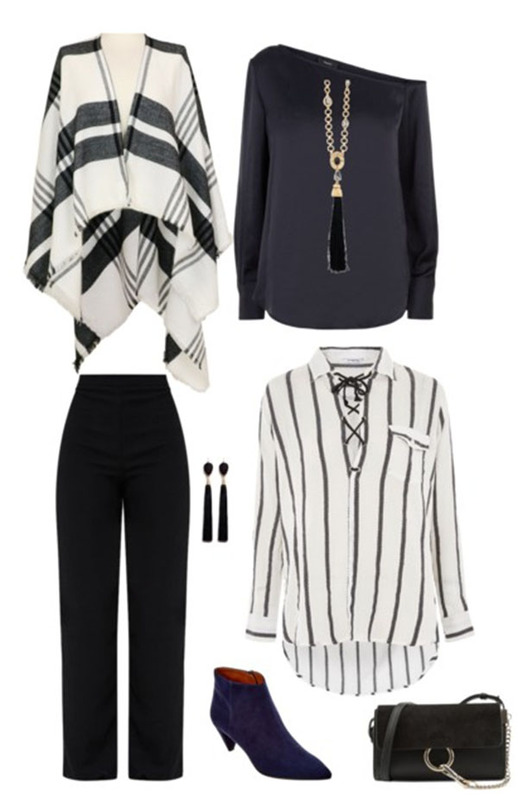 Asymmetric tops add vertical lines and are visually slimming. Choose skirts and trousers with side zippers to avoid extra material or focus at the front. Avoid pleats in trousers and skirts as this will emphasize the belly area. Find more helpful tips in how to dress the apple shape body here or check our tips on hiding the belly. If you are gaining weight in the hip and thigh area, your goal should be to visually balance your lower and upper body. Emphasize the top half of your body with fun colours, prints, horizontal stripes, wider lapels in jackets and breast pockets on shirts. Choose accessories such as scarves and necklaces to draw attention upwards. Tops and jackets should end above or below the widest point of your hip. Wear darker colours for skirts and trousers. A line skirts and trouser with a flare or bootcut jeans will draw attention away from the hips and thighs and create a more flattering line. If you experience hot flashes look for natural fabrics as these are better at keeping you feeling cool. Natural fabrics such as cottons, linen, silk, flax or wool are more “breathable” than synthetics. If you sweat a lot with hot flashes or night sweats, look for moisture wicking fabrics. These fabrics “wick” the moisture away from the skin, and dry quickly which will make you feel more comfortable. You can find moisture wicking fabrics in everything from workout wear to underwear and sleepwear. Some examples of underwear are JOCKEY Skimmies Wicking Slip Shorts and Hanes Constant Comfort X Temp Modern Brief. There are a few online stores that specialize in clothes for hot flashes and sleepwear for night sweats such as Cucumber Clothing and Cloud Nine Pajamas. If odour is an issue, you should try to avoid fabrics that retain odors such as some types of synthetics. If you do have clothes in fabrics that have retained odours, wash in cool water and air dry as heat from the dryer could re-activate the odour causing bacteria. For more on fabrics you may enjoy this fabric guide. Dress in layers so you can peel off some layers as your body temperature increases. 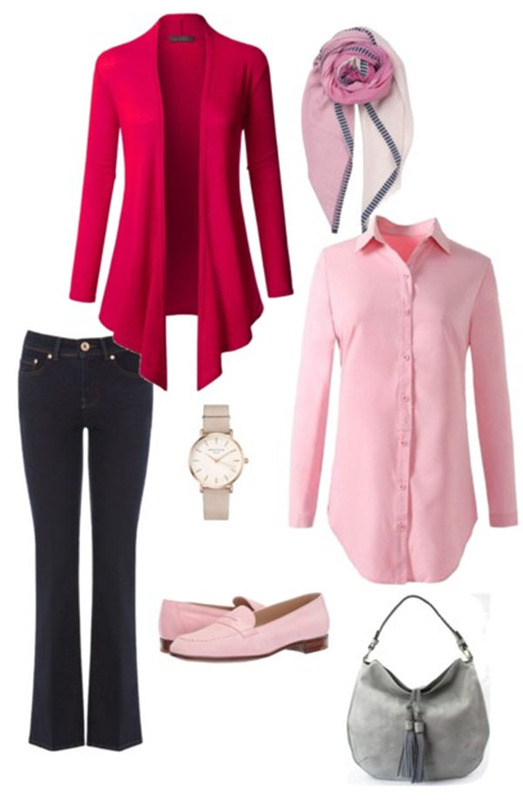 For a more formal environment, try a moisture wicking camisole under a blouse, then a jacket or cardigan over that. Layer in colder weather with scarves, cardigans, jackets or sweaters that can be easily removed when the hot flashes start yet keep you appropriately covered. You may want to avoid anything too tight as this can be uncomfortable and make you irritable. Loose clothing such as palazzo pants and tunic tops are good choices. Remember the rule that if wearing volume on top stay with slimmer bottoms and vice versa. Don’t go too baggy all over or you will lose any shape that you have. If you want a sleeker line at your waist, look for pull on styles of pants, capris and jeans in stretch fabrics with a built-in tummy control panel. The stretch fabrication makes these extremely comfortable whilst the tummy control makes you look slimmer. Some excellent choices are Lisette L Montreal, Nygard Slims, Eileen Fisher, Jag Jeans and Style & Co and Alfani. Highlight areas of your body that you feel good about. If you have great legs show them off in skirts, dresses or leggings. If you have a lovely neck and shoulders try an off the shoulder top or wear long, dangly earrings. It’s even more important as we get older to invest in good fitting bras to give support and a flattering shape. Did you know that we should be fitted for bras every 6 months to a year and that our bra size can change up to 6 times during our lifetime? Find a lingerie store in your area that has a on staff fitter and go regularly, especially if you are experiencing weight gain. Replace any bras that are no longer supportive, no longer comfortable or have stretched out from repeated washings. And you will need different bras for different type of clothing; seamless bra for t shirts and sweaters, a sports bra and perhaps a push up bra for that special evening outfit. There are some fun specialty products on the market that can help keep you feel cool. I found some lines of cooling necklaces and bracelets (Hot Girls Pearls and Nano-Ice Cooling Necklaces) that you just freeze before wearing and then activate by rotating the necklace or bracelet when you need that extra burst of cool. If you are a golfer or runner try the gel filled cooling bandanas which when activated with water will stay cool for hours. Accessories are the finishing touch to any outfit. Maybe you find necklaces too hot or cumbersome to wear now so try a statement pair of earrings or a cuff bracelet instead. If you love scarves, but they are too warm around your neck, wear them longer and looser. Or find a unique handbag or colourful shoes to make a statement. If you want to learn how to accessorize like a pro and take your outfit to the next level, you may like to join 40+Style’s Accessories Course. Many books have been written about menopause being the time in our life to re-evaluate our priorities and re-create ourselves. I think this is the ideal time to experiment, to find your style and embrace it. How are you dressing for menopause? How are you staying cool and comfortable? 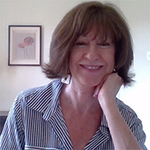 Has your style changed during peri-menopause or menopause? Author bio: Yvonne Grzebien’s passion for fashion started at a young age through modeling and then progressed to working in the fashion and cosmetics business for many years. She also has training as a Colours Consultant. Yvonne lives in Canada and when the weather permits you will find her on the golf course. Thanks, lovely tips. Can I buy clothes like these online. Previous post: How much should I weigh for my height and age?